My big fat Greek Easter! The day begins early for the men of the family who rise at eight am to prepare the whole spring lamb to be barbecued al fresco on a spit. Our family has been celebrating Easter this old country way for as far back as I can remember. 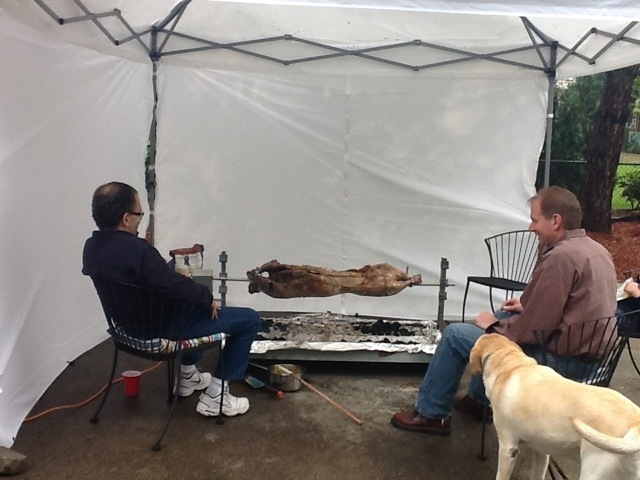 When my grandfather did it the lamb was skewered on a long wooden pole over a pit in the yard filled with charcoal and wood. 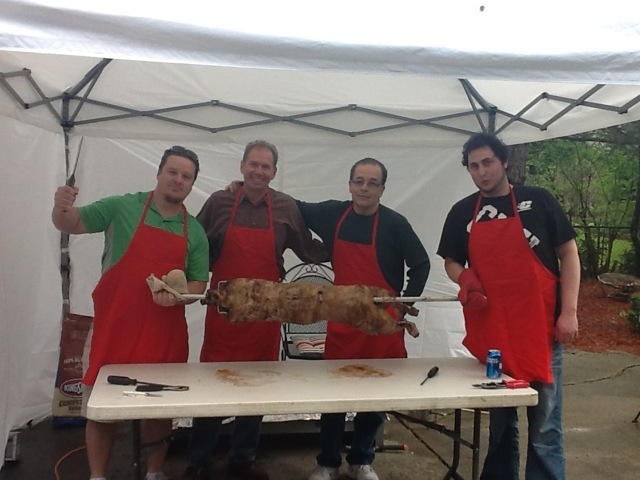 First the lamb is spiked with pieces of garlic all over its body and sprinkled inside and out with salt and pepper. 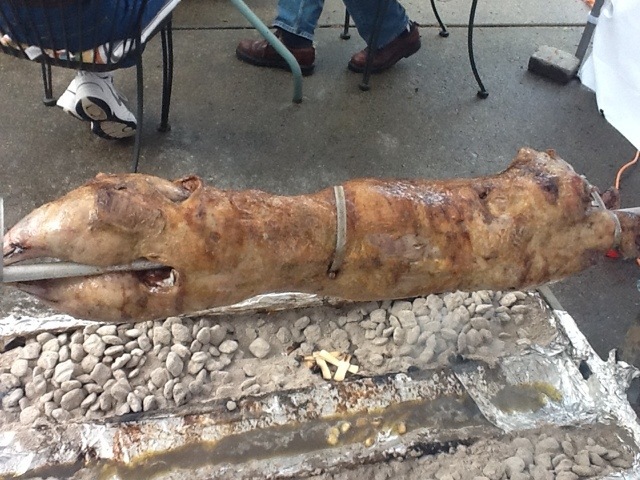 Several halved lemons are trussed into the interior of the belly and the lamb is attached to the spit. The lamb was then tended to and turned by hand for 5-6 hours while being basted with a mixture of lemon, olive oil, herbs and spices. Nowadays we use a commercial grade barbecue pit, with a motorized engine that turns the spit for us! Modern convenience does not change the process of preparation though. Fantastic website. Lots of helpful information here. I am sending it to several pals ans additionally sharing in delicious. And of course, thank you in your sweat! Previous Previous post: My big fat Greek Easter! Next Next post: My big fat Greek Easter!